Check Rates & Availability at Sleep Inn Columbus! 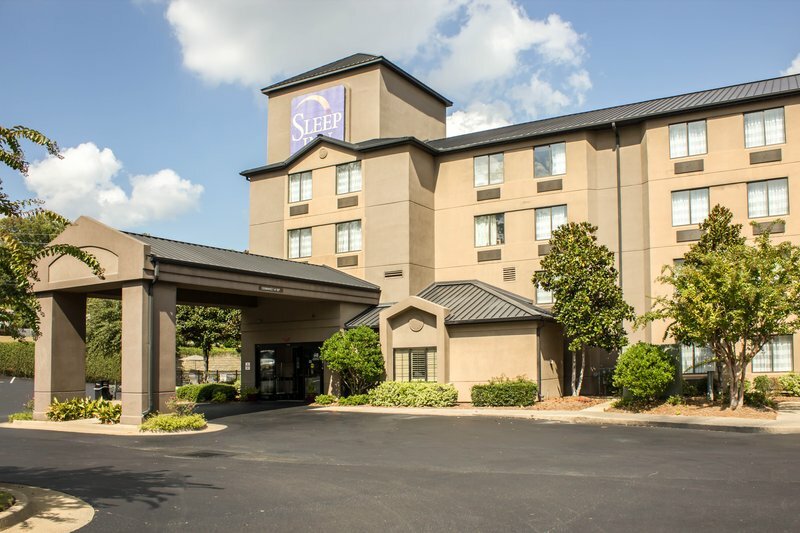 At the Sleep Inn hotel in Columbus, GA, you'll dream better. We're near Columbus Metropolitan Airport, Jack Hughston Memorial Hospital, Columbus Museum, National Civil War Naval Museum, Pine Mountain and Coca-Cola Space Science Center. Relax with amenities that include free hot breakfast, free WiFi, free weekday newspaper, free coffee, a seasonal outdoor pool, guest laundry facility, valet cleaning, copy and fax services. Each inviting guest room is a stylish sanctuary that features a microwave, refrigerator, coffee maker, hair dryer, Flat-Screen TV, iron and ironing board. Select rooms include a wet bar. Also, earn rewards including free nights and gift cards with our Choice Privileges Rewards program. No Pets Allowed. Coca Cola Space Science Ctr.